Daniel Duford is an artist and writer. He is a 2010 Hallie Ford Foundation Fellow and a recipient of a 2012 Art Matters Grant. His work has been shown at MASS MoCA, The Atlanta Center for Contemporary Art, Maryhill Museum, Bellevue Arts Museum, Clay Studio, The Boise Art Museum, Schneider Museum of Art and The Art Gym at Marylhurst University. His writing has appeared in High Desert Journal, Parabola, Artweek, ARTnews, The Emily Dickinson Award Anthology, The Organ, The Bear Deluxe, Ceramics Monthly, Ceramics: Technical and Ceramics: Art and Perception. His work has been reviewed by The New York Times, The Village Voice, NY Press, The Albany Times Union, The Oregonian, Sculpture Magazine, Art Papers, Artweek, The Willamette Week and the Portland Mercury. 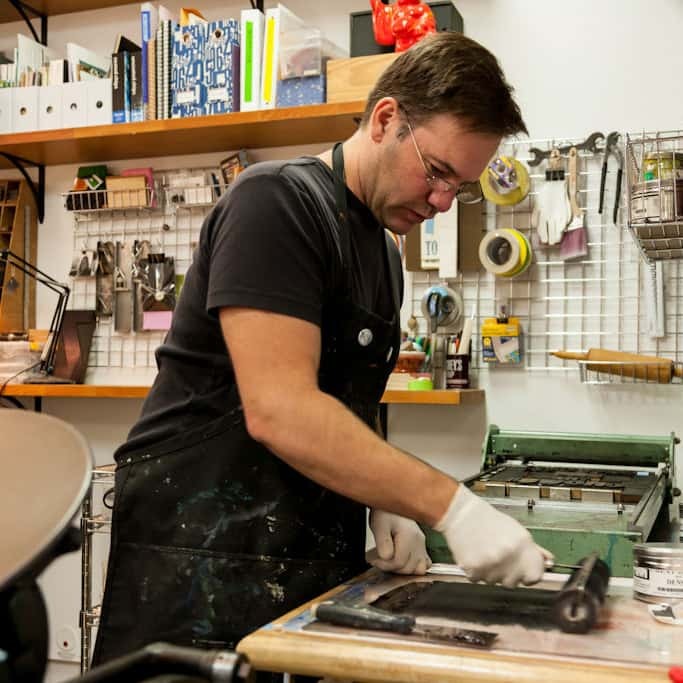 Duford teaches intermedia, illustration and sculpture at Pacific Northwest College of Art. In 2012 he curated an exhibition called Fighting Men: Leon Golub, Peter Voulkos and Jack Kirby at the Hoffman Gallery at Lewis and Clark College.